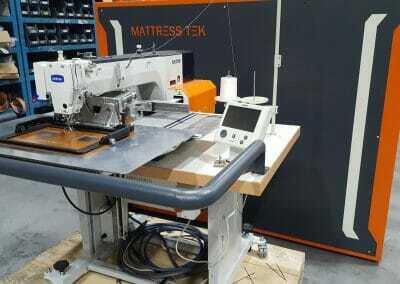 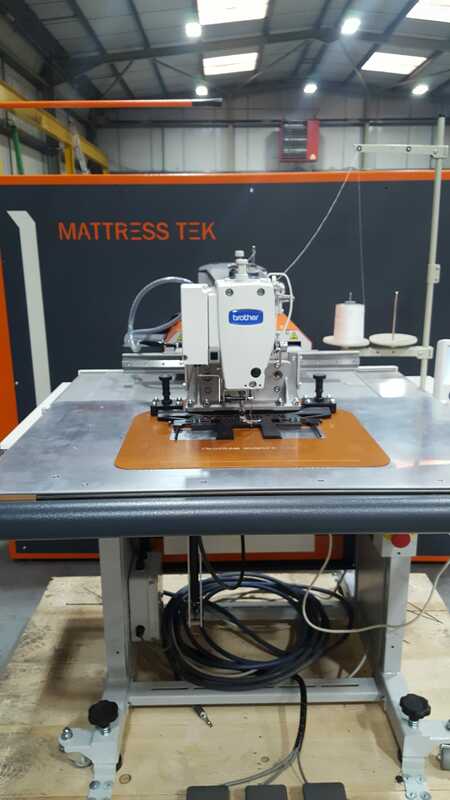 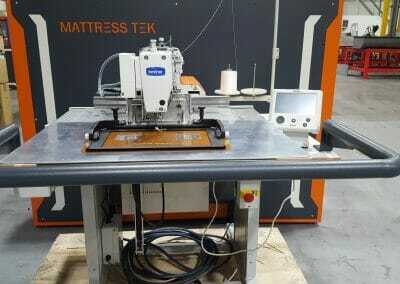 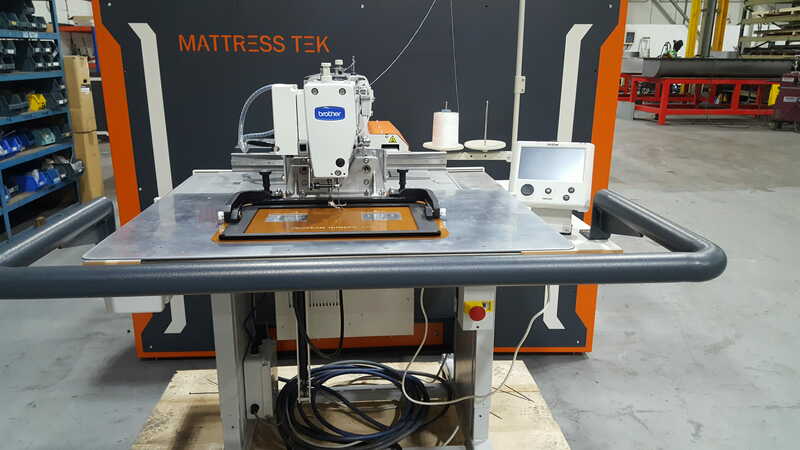 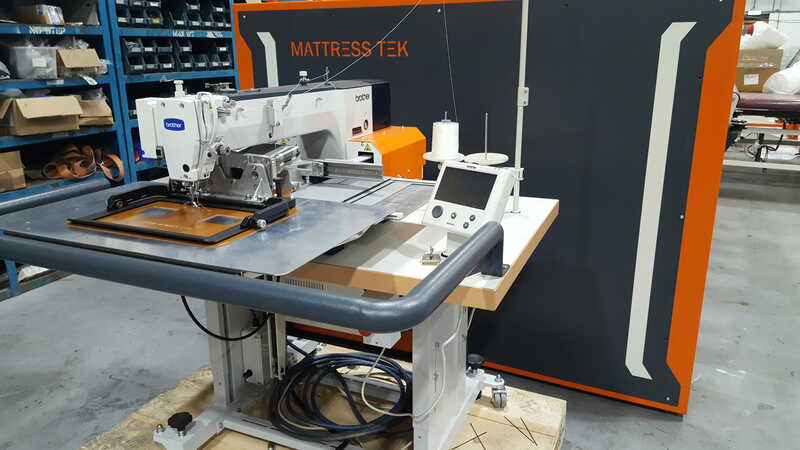 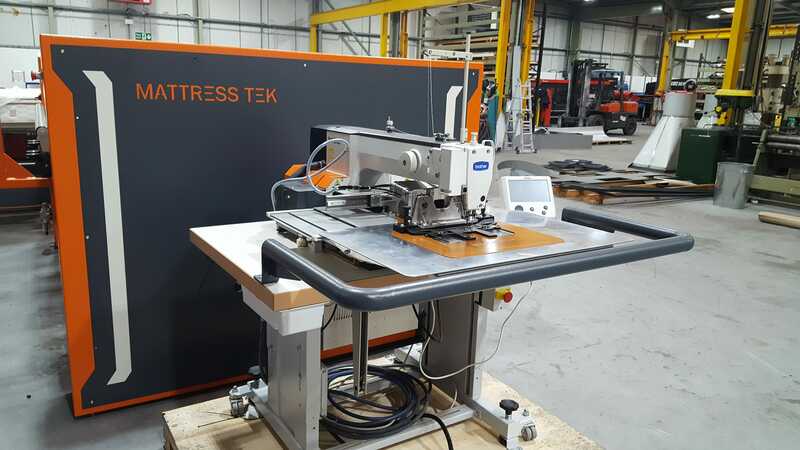 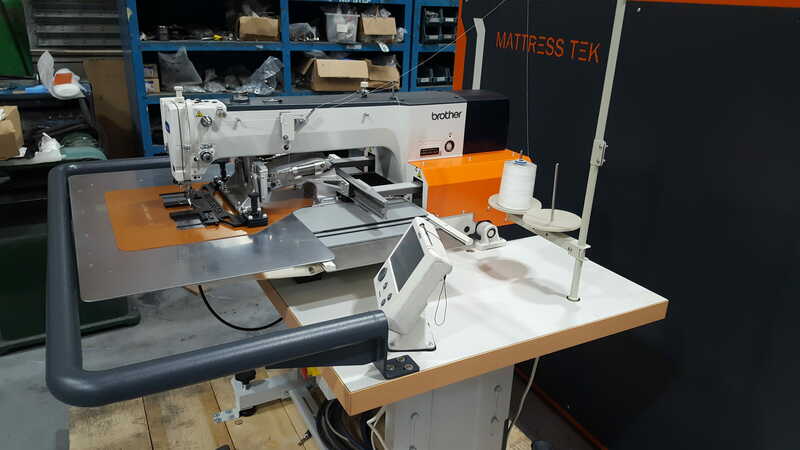 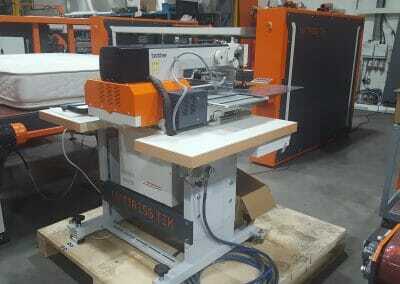 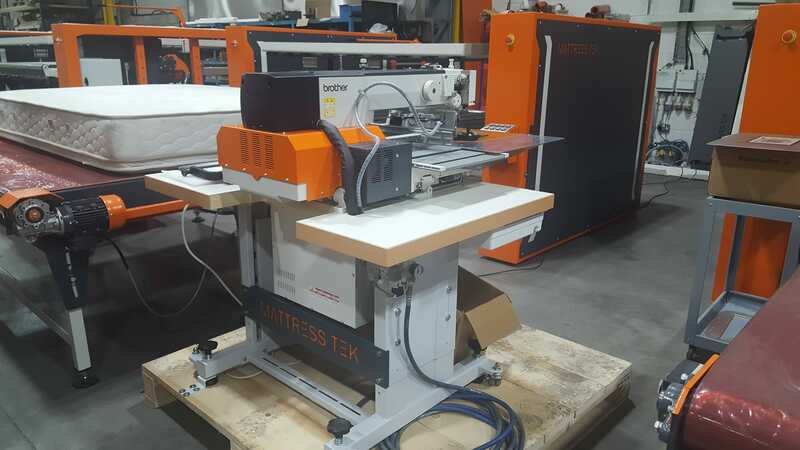 MATTRESSTEK would like to introduce the all new Handle and label attaching machine. 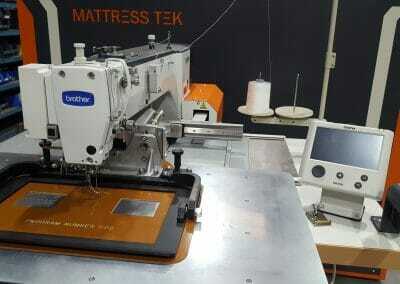 Using the state of the art well know brand, ‘brother’ direct drive programmable electronic pattern sewing machine. 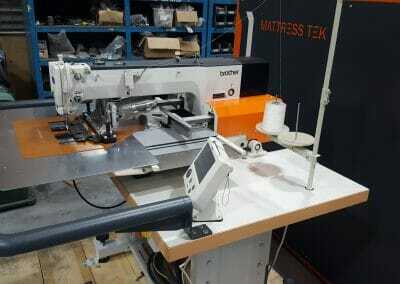 State of the art brother handle / label attaching machine. 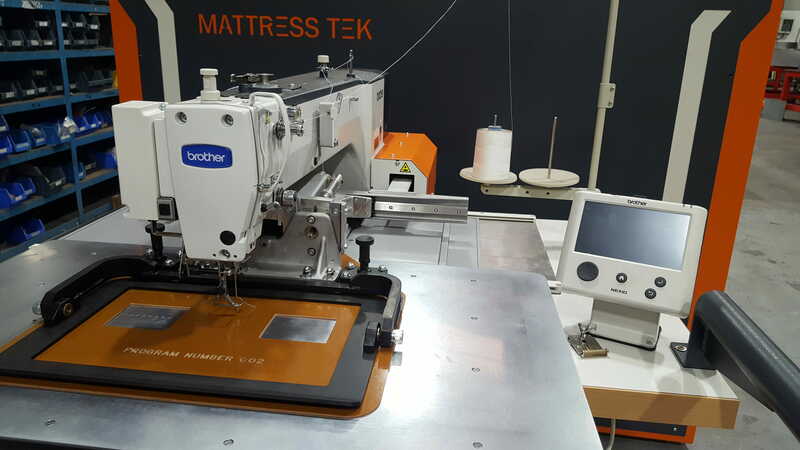 Sewing speed 2800 Stitch/min, with high quality sewing. 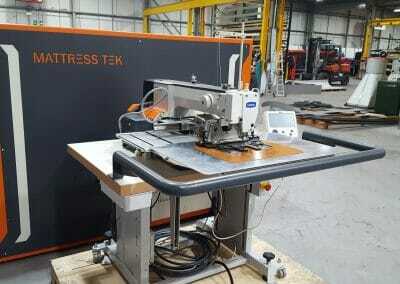 User friendly operation with touch screen panel. 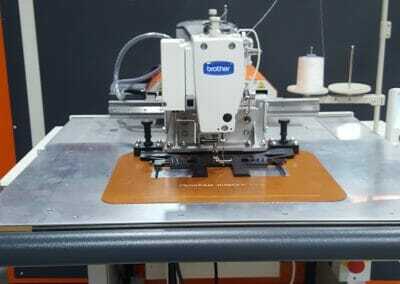 Programmable panel for creating stitching patterns. 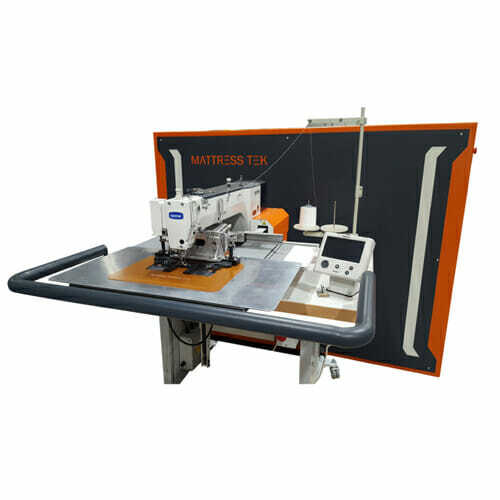 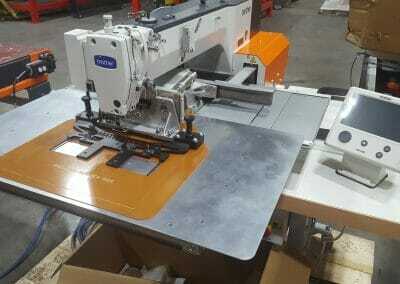 Capable of stitching Heavy and medium materials. 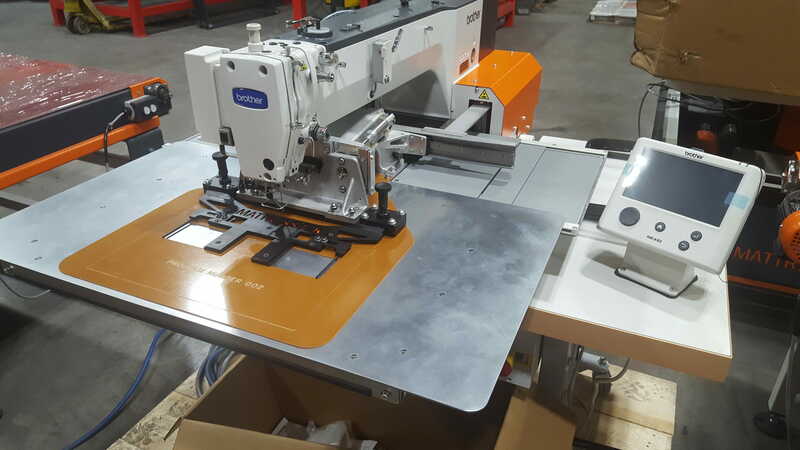 Ability to do Labels and handles on one machine.